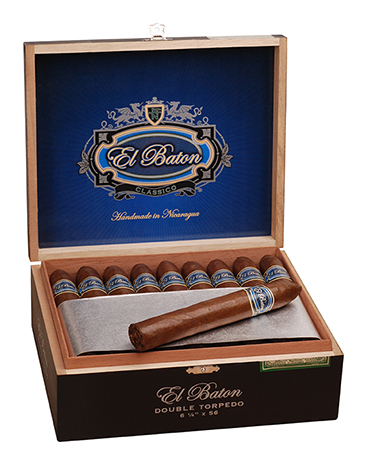 The El Baton is a complex, nutty cigar with a bold, spicy flavor. Touches of oak and black pepper are noted, as well as nice leathery transitions with mocha and pepper. The El Baton is a consistently full-bodied cigar with pleasant surprises throughout. Considered to be a modestly priced cigar, the El Baton is J.C. Newman's first Nicaraguan puro. Cigar Aficionado gave the Robusto and Double Toro a 90 rating, and the Double Torpedo received a 91!